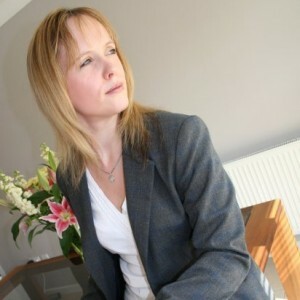 Throughout her career, Nicki had always known of Anne Corder Recruitment as a recruitment agency renowned amongst the Peterborough business community. However in 2008, Nicki came to ACR as a candidate looking for a new role that could take her career to the next level. Nicki explains: “When I began looking for a new role, I knew that ACR would be a great place to start. The agency is well known in Peterborough, especially amongst the HR industry. Anne handled Nicki’s recruitment journey with ACR, and the result has been a long-lasting relationship that has helped to build Nicki’s career, and her own words “Anne has been like a mentor to me”. “In this first instance, in 2008, ACR placed me as HR business partner in a large, well known, local business. Throughout my recruitment journey I was delighted with the professional set up of the agency,” said Nicki. “Anne really listened to what I was looking for in my next role and worked to understand my requirements as a candidate,” she added. Having been delighted with the speed of service provided, and the role she was placed in, Nicki came straight to ACR when she needed recruitment services – but this time from the perspective of a client. “Whilst in my role as HR business partner, it was inevitable that I would be in the position of hirer as oppose to candidate. Having had such a fantastic recruitment journey myself, I immediately got in touch with ACR about the vacancies we had available. The transition from candidate to client with ACR was simple for Nicki: “Having been through the registration process myself, I knew that ACR took every effort to ensure the details they had were thorough and correct. That’s hugely reassuring for a client looking to find the right candidate,” she explained. “There are lots of little touches that make ACR my go-to recruitment agency in Peterborough. They always try to meet you as a candidate and a client face-to-face, so they can really understand what you’re looking for in your career or, if you’re a client, what the needs of your business are. Nicki’s long lasting relationship with ACR exemplifies the understanding, professional and personal service provided to both candidates and clients alike. In her current role, Nicki still comes to ACR as a client looking for new team members.